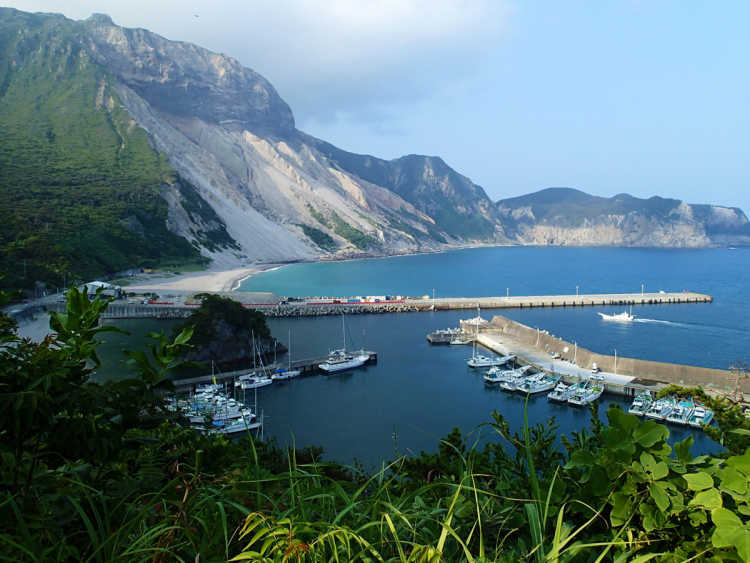 At Tako-wan Bay, there's an impressive scenery created by a landslide of white sands of Tenjo-san Mountain. The surface of the mountain in the rear, there're also beltlike layers of obsidians. In front of the scenery that continues to slide even now is surprisingly a cobalt blue beach for swimming.